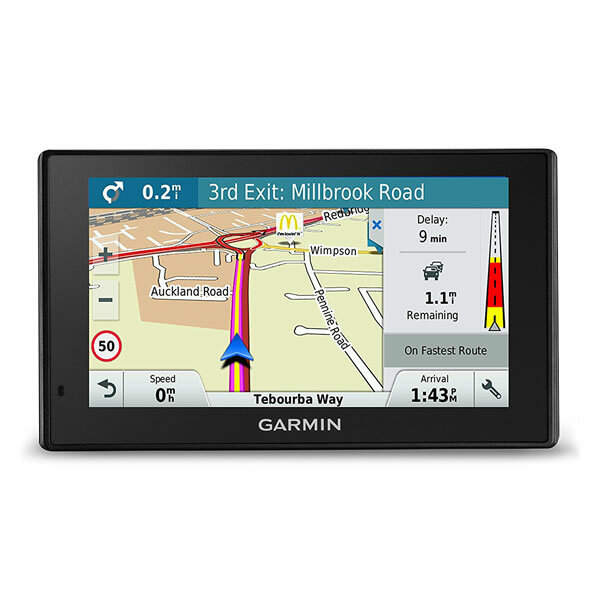 The Garmin Drive 51LMT-S 5-inch car satnav is available with two mapping options: UK and Ireland or Full Europe. Mapping is FREE for the Lifetime of the product. The screen is also dual orientation. Traffic information is available via Smartphone connectivity. You can also find nearby car parking spaces. The smartphone Link App also lets you use LiveTrack to enable friends and family to locate you via GPS. Garmin DriveSmart 50LMT-D has been discontinued. 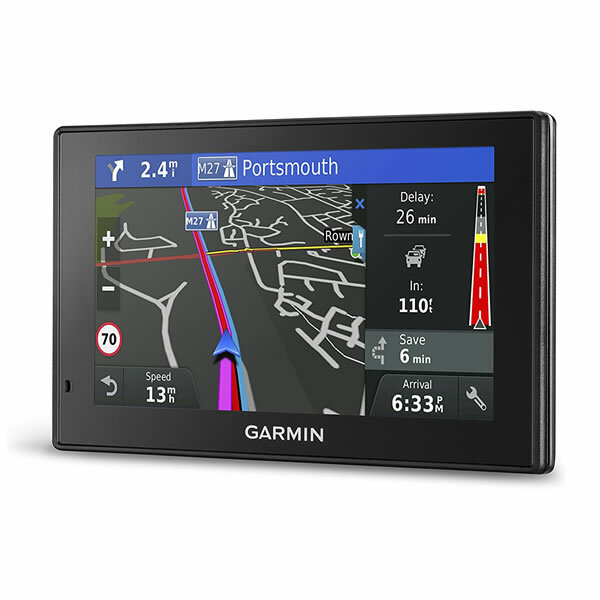 The Garmin DriveSmart 50LMT is a car satnav with FREE lifetime European maps and FREE lifetime digital traffic. The screen size is 5-inches and it features hands-free calling and it will display calls, texts and app alerts. 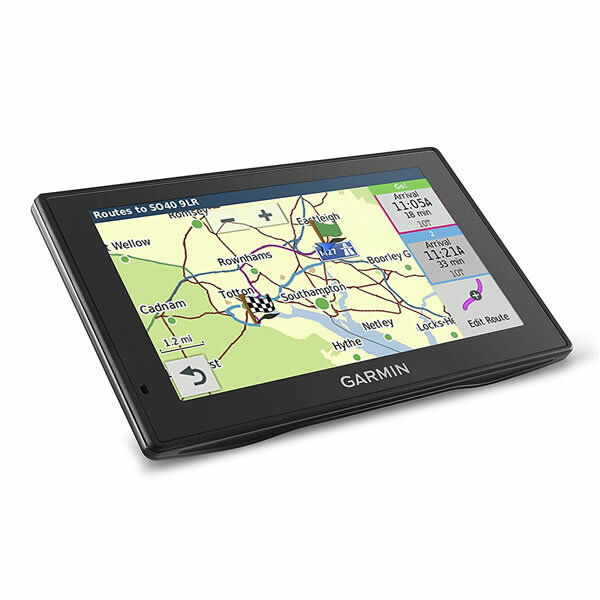 You can use this Garmin satnav in dual orientation and the device knows when it has been rotated and adjusts to display horizontally or vertically. There are various models of the DriveSmart 50 series which are: 50LMT (UK), 50LMT (Europe), 50LM (UK) and 50LM (Europe). The LMT-D models include Lifetime Mapping and Digital Traffic information as you drive. The LM models include Lifetime Maps but do not include Digital Traffic. Each of these models is availabe with either UK and Ireland mapping or Europe maps. All are available to purchase above. The Garmin Drive Smart is voice activated so you do not need to take your hands off the driving wheel. This Garmin uses Real Directions whereby it uses landmarks (buildings, traffic lights, etc.) to guide you by voice instructions. The Digital Traffic is also voice activated and works on Motorways, A Roads and more minor roads also. The Garmin Digital Traffic will also calculate expected delays and possible detours and also learn if you are on the fastest route. The Garmin DriveSmart is compatible with the BC 30 wireless backup camera (sold separately) which allows you to see behind your vehicle so you will not miss vehicles, pedestrians and other obstacles as they will be displayed right on Garmin's display (as you are reversing). 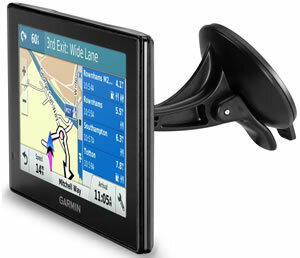 The Garmin DriveSmart 50LMT includes everything you need to mount and install it in your car. Included when you purchase from ActiveGPS is a Vehicle Suction Cup Mount which is used to mount the satnav on the windscreen - simple, quick and easy. 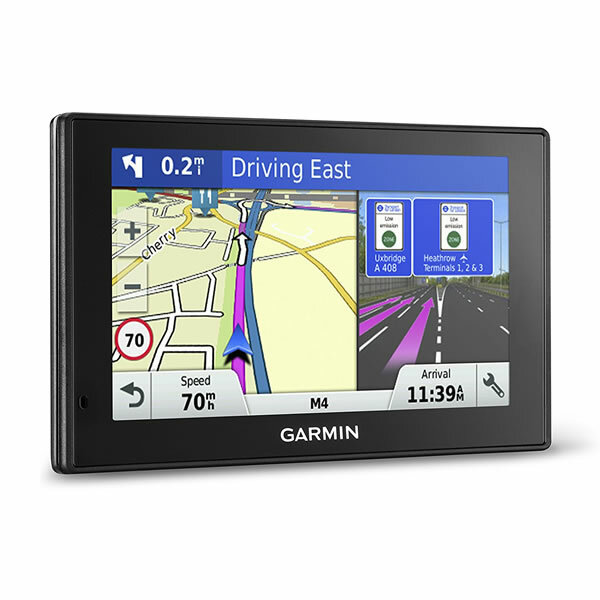 Garmin DriveSmart 50LMT is preloaded with City Navigator NT for the UK, Ireland, Western and Eastern Europe provided by here maps. Looking for accessories and spares for the Garmin DriveSmart 50LM or 50LMT? Accessories available to purchase include a 5-inch slip case, mains power charger, a weighted dashboard mount and a vehicle reversing camera. Along with these accessories, it's also possible to buy replacement parts such as suction cup mount and vehicle charger. 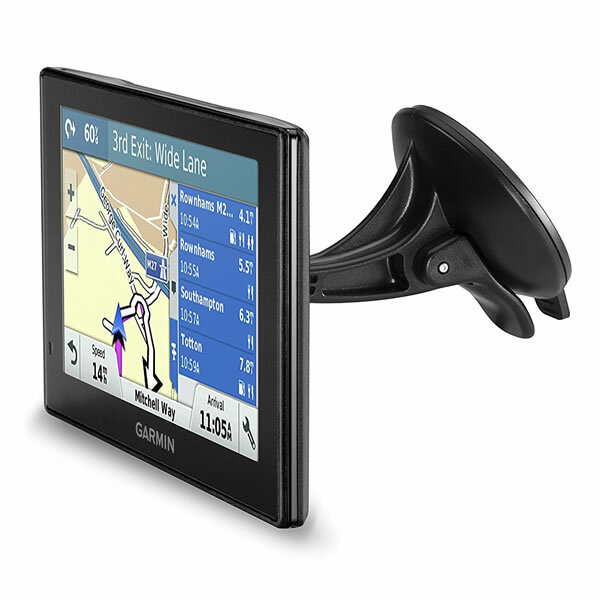 The Garmin DriveSmart 50LM and 50LMT are both preloaded with street-level road maps for all of Europe. If however, you want to take the DriveSmart 50LMT further afield, we may have the map that you need. 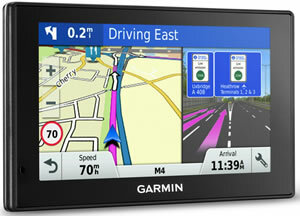 Garmin DriveSmart 50 available maps include: USA, Canada and Mexico, Australia and New Zealand, Morocco and Southern Africa. Question: I'm looking for a longish USB cable for my Garmin DriveSmart 50 that I can use to charge it in the car. I have the charging cable that came with it, but that is a fixed cable so I can't charge my phone at the same time. I have a dual USB charger for the power socket in the car but the USB cable that came with the Garmin (for connecting to my laptop) is too short. What USB cable should I get for charging in the car? Answer: For charging in the car I would suggest and recommend that you ONLY use the genuine cigarette lighter as supplied with the Garmin DriveSmart 50. I don't know whether your Garmin DriveSmart 50 is a model ending in 'T' or 'T-D' e.g. DriveSmart 50LMT, if it is then the supplied charging cable also provides you with traffic information. A straight forward USB cable will NOT provide you with traffic information and it may also provide insufficient power/charge to your Garmin DriveSmart 50. My recommendation would be to buy the Garmin High Speed Multi Charger and plug in your genuine cigarette lighter as supplied with the Garmin DriveSmart 50, Garmin High Speed Multi Charger also provides you with two USB ports to charge other items such as your phone. 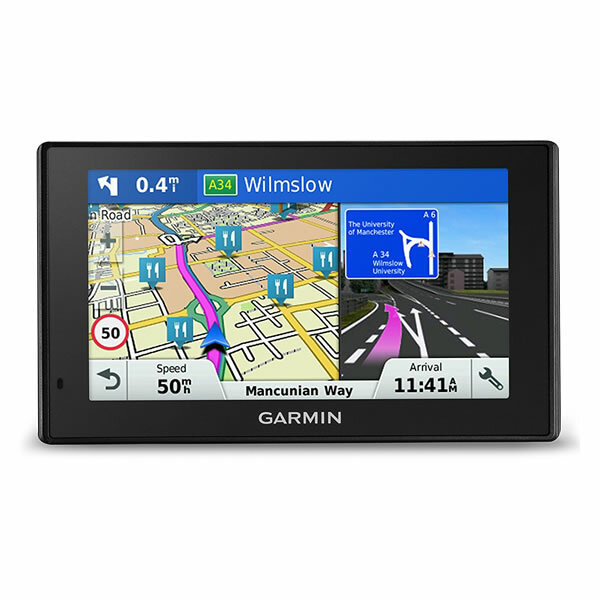 Question: Do you sell digitiser and touchscreen for Garmin drivesmart LM 50 sat nav? Answer: This part will ONLY be available from Garmin. You will likely need to return your Garmin DriveSmart LM 50 so they can carry out the installation. You can call Garmin UK on 0808 238 0000. Question: I own a Garmin Drivesmart LMT 50-D. I am considering fitting a Garmin BC-30 Camera to the rear of my caravan and then adding an extension cable to enable the Transmitter to be sited in the caravan front window. This will leave a distance of approx 4 metres between the transmitter and the Drivesmart Unit. Hopefully this will be OK, but if the signal is weak, can I shorten the cable (I am unsure as to whether this a single or multi strand) to terminate at the tow hitch - fit a plug in connector â€" then use the balance to resite the transmitter within the tow car? Answer: I would recommend that you ask your question of Garmin UK by telephoning 0808 238 0000 to discuss. However, I can confirm that the BC 30 reversing camera is fully compatible with the Garmin DriveSmart 50LMT. In addition we sell the BC 30 extension cable. Both the Garmin BC 30 reversing camera and extension cable are in stock today. Do you have a question about the Garmin DriveSmart 50LMT? Submit your question via our contact page.